Delivering news from the best MMA blogs! Become A MMA Arena Fan Today! Ultimate Fighting Championship (UFC) held a special media day today (June 13, 2013) to help drum up some hype for its UFC 161 pay-per-view (PPV) event this Saturday night (June 15), which takes place live from MTS Centre in Winnipeg, Manitoba, Canada. As expected, main event foes and light heavyweight title contenders Rashad Evans and Dan Henderson were on the scene, chatting with reporters and making a case for a win this weekend, as were co-headliners and heavyweight hopefuls Roy Nelson and Stipe Miocic. To see their staredown pics click here. Of course, no media day would be complete without a video scrum from UFC President Dana White, who took the time out of his pre-fight schedule to dish a little dirt on all things mixed martial arts (MMA). We’ll be sure to carve out all the meaningful nuggets for you a as soon as possible. That’s not all! Watch the full video above for the complete lowdown. Enjoy. UFC matchmaker Joe Silva has it easy when it comes to the UFC light heavyweight division, so long as Chael Sonnen is still hanging around. Seems like “The American Gangster” will fight anyone these days. Mercenary! 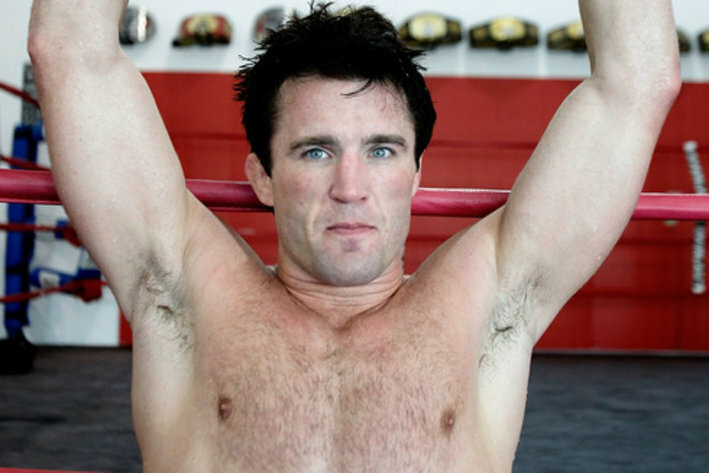 Far be it from Chael Sonnen to pass up an opportunity to fight another Brazilian. The former light heavyweight number one contender is willing to fill in for the injured Antonio Rogerio Nogueira, who was forced to pull out of the UFC 161: “Evans vs. Henderson” pay-per-view (PPV) event on June 15, 2013 at MTS Centre in Winnipeg, Manitoba, Canada. More on “Little Nog‘s” injury here. Sonnen is no stranger to pinch hitting, offering his services in place of Dan Henderson in the wake of last year’s UFC 151 fiasco. Still, it’s not everyday you see someone so eager to fight Mauricio Rua on short notice. @ShogunRua I HEAR BRAZILIAN CHICKEN IS OFF THE MENU. AMERICAN GANGSTER IS STILL AVAILABLE IF YOU WANT TO SEND YOUR WAITRESS OVER. That little potshot at Nogueira is nothing compared to this one. Sonnen originally called out Wanderlei Silva for a fight at UFC on FOX Sports 1 in Boston; however, “The Axe Murderer” balked at the timeline, insisting a fight against the mouthy ex-middleweight would be a “dream,” so long as it takes place in Brazil this December. No reason we can’t have our fight and watch it too. If Sonnen can step in for Nogueira, he would help balance an already tattered fight card, one that recently lost a main event tussle between Renan Pegado vs. Eddie Wineland after “Barao” was forced to bow out due to injury. That seems to happen a lot around these parts, but hey, one door closes, another door opens. Chael Sonnen vs. Shogun Rua. Who wants it? Antonio Rogerio Nogueira has suffered an injury in training and has been forced to withdraw from his UFC 161 co-main event bout against Mauricio Rua on June 15, 2013. Not long after the original UFC 161 main event of Renan Barao vs. Eddie Wineland was scratched due to a Barao injury, another major blow has been dealt to the Ultimate Fighting Championship‘s (UFC) next pay-per-view (PPV) event. According to a report from Brazilian news outlet SporTV Globo, Antonio Rogerio Nogueira suffered a back injury in training and will be unable to compete against Mauricio Rua in the co-main event of the June 15, 2013 event. John Morgan of MMA Junkie confirmed the news with UFC officials, who stated they are actively seeking a replacement to meet “Shogun” at the organization’s second event on Canadian soil in 2013. 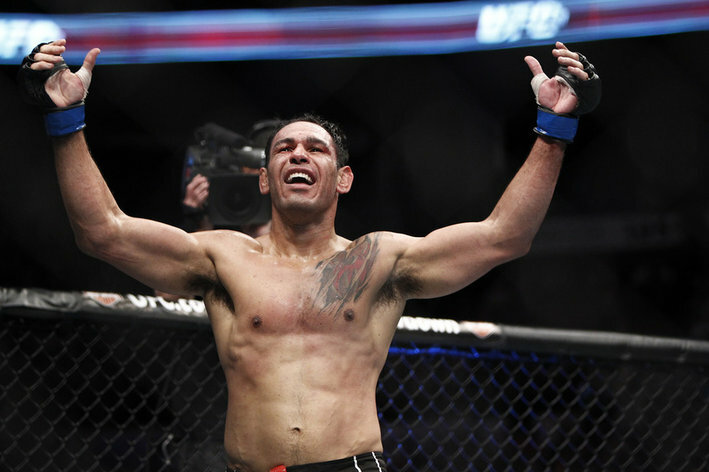 The news comes at an unfortunate time for “Minotouro,” as he was celebrating his 37th birthday alongside twin brother Antonio Rodrigo Nogueira on Sunday (June 2, 2013). 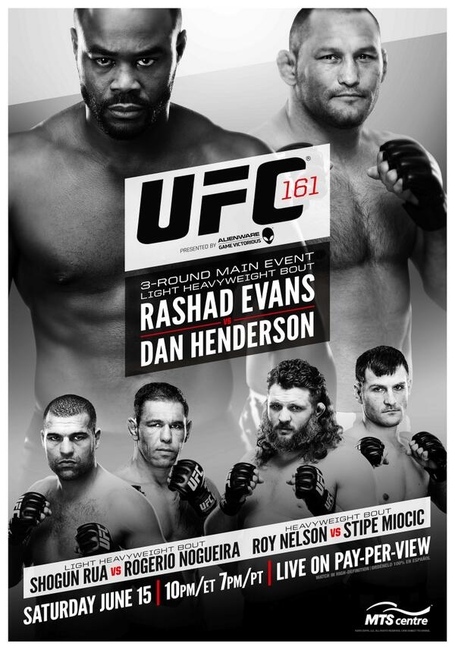 UFC 161: “Evans vs. Henderson” takes place June 15, 2013 from the MTS Centre in Winnipeg, Manitoba, Canada and features a main event between light heavyweight contenders Rashad Evans and Dan Henderson. In just a few short weeks, the Ultimate Fighting Championship (UFC) will make its second venture north of the border in 2013, and to a new city at that, with a card carried by some of the world’s top light heavyweight talent. Renan Barao was supposed to defend his interim bantamweight title against Eddie Wineland at the event, but unfortunately the Brazilian suffered a foot injury and was forced to withdraw from the card. With that said, UFC 161 is still a loaded fight card, so when and where does it all go down? The pay-per-view (PPV) fight card is set to go down from the MTS Centre in Winnipeg, Manitoba, Canada, on June 15, 2013. In the new main event, former UFC 205-pound champion Rashad Evans looks to rebound from his career-worst two-fight losing streak when he takes on former two-division Pride champion Dan Henderson in a high-stakes 205-pound affair. The night’s co-main event will see two more of the world’s top 205-pound fighters go to war, as Antonio Rogerio Nogueira looks to build momentum from his UFC 156 upset over Evans when he takes on former UFC champion Mauricio Rua in a rematch of the 2005 “Fight of the Year,” which “Shogun” won by decision. 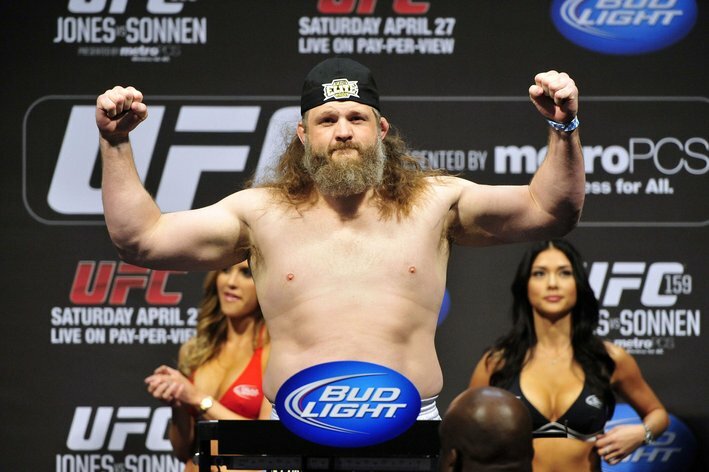 Also added to the card at the last minute was a heavyweight contest between The Ultimate Fighter (TUF) season 10 winner Roy Nelson and Stipe Miocic. 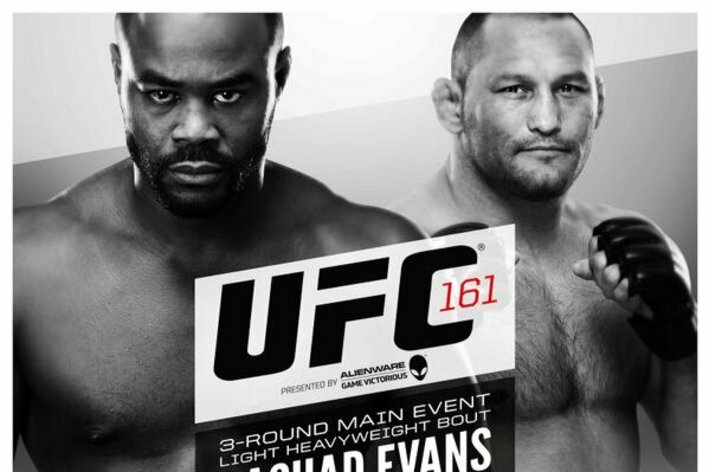 For more news and notes on UFC 161: “Evans vs. Henderson” click here. “Big Country” is suddenly in demand, the big-bellied knockout artist UFC officials continue to turn to when in a pinch. With Mark Hunt receiving his work visa in the eleventh hour to travel to Las Vegas, Nevada, and punch Junior dos Santos in the face at UFC 160, which takes place this upcoming Saturday night (May 25, 2013), it took the heat off Roy Nelson to make a quick turnaround and help save the Memorial Day weekend pay-per-view (PPV) event. When interim Bantamweight champion Renan Barao was forced to withdraw from his upcoming UFC 161 main event appearance against Eddie Wineland at MTS Centre in Winnipeg, Manitoba, Canada, on June 15, 2013 (more here), the world’s leading mixed martial arts (MMA) promotion was left with another fight card hole to fill. It implemented a quick fix, promoting the pivotal 205-pound showdown between Dan Henderson vs. Rashad Evans to the top of the marquee (more here), but Ultimate Fighting Championship (UFC) matchmakers continued to tinker into the late evening. And once again “Big Country” was integral piece of its short notice plans, according to Damon Martin at Bleacher Report. Nelson, fresh off a first round knockout of Cheick Kongo at UFC 159 last month (April 27, 2013), will indeed make a rapid return to the Octagon, taking on up-and-coming Heavyweight prospect Stipe Miocic, who most recently suffered the first loss of his professional 10-fight MMA career at UFC on Fuel TV 5, getting pounded out by Stefan Strufe in the second round of their main event clash back in Sept. 2012. Miocic was already booked to welcome Soa Palelei back to the eight-walled cage on the UFC 161 “Prelims” under card; however, it appears that the former Golden Gloves boxing champion, NCAA Division I wrestler at Cleveland State University and in-demand collegiate baseball prospect, will have a much bigger fish to fry this summer. 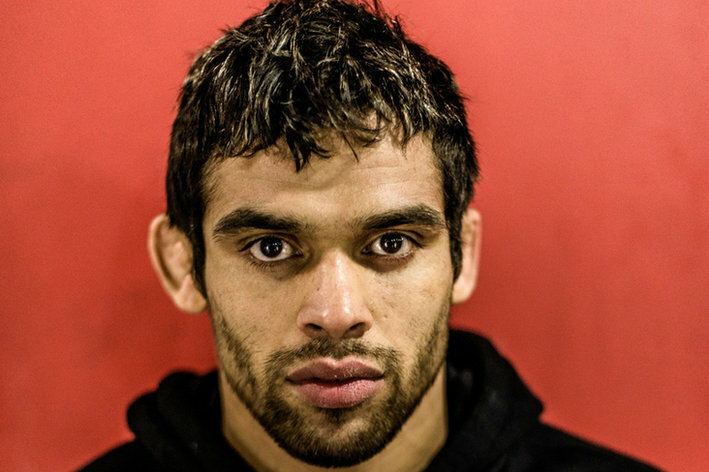 Will he pull off the upset or will Nelson make it four straight? In addition to the main event between Henderson and Evans, UFC 161 will feature another meaningful Light Heavyweight bout between Antonio Rogerio Nogueira vs. Mauricio Rua on the PPV, as well as a Heavyweight tilt between Pat Barry vs. Shawn Jordan, among others. So, what exactly is the protocol when the division kingpin, as well as the Interim champion, are both injured and unable to defend their belts? Ultimate Fighting Championship (UFC) now has two belts in hock after temporary titleholder Renan Pegado was forced to withdraw from the upcoming UFC 161: “Barao vs. Wineland” pay-per-view (PPV) event, scheduled for June 15, 2013 at MTS Centre in Winnipeg, Manitoba, Canada. 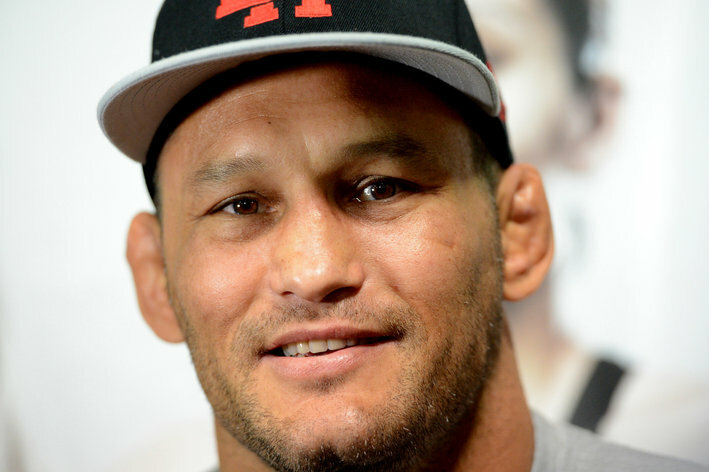 The Brazilian tore ligaments in his foot and was not medically cleared to compete, according to MMA Junkie. The injury was first reported last Saturday night amid the chaos of UFC on FX 8 in Brazil. See the original report here. That means for the time being, UFC 161 is without a main event. The promotion has yet to decide on a possible replacement for Eddie Wineland, though top 135-pound contender Urijah Faber recently told MMAmania.com he’s more than willing to step in on short notice. The other is to promote either of the main card bouts between Antonio Rogerio Nogueira vs. Mauricio Rua or Dan Henderson vs. Rashad Evans into the headlining spot. “Little Nog” and “Hendo” can both make a case for a 205-pound title shot with a big win up north, so it’s not like either contest is without meaning. All we can do now is wait. It came down to “Hendo vs. Suga” and “Shogun vs. Lil’ Nog.” Did UFC promote the right 205-pound fight into the UFC 161 main event? Well, that didn’t take very long, now did it? Ultimate Fighting Championship (UFC) has a new main event for its upcoming UFC 161 pay-per-view (PPV) scheduled for the MTS Centre in Winnipeg, Manitoba, Canada on June 15, 2013. Dan Henderson vs. Rashad Evans. The two light heavyweight title contenders were promoted to the headlining spot when Renan Barao, who was originally slated to take on Eddie Wineland for the Interim Bantamweight Championship, tore a few ligaments in his foot and withdrew from the event. See all the gory details here. Henderson is coming off a dreadful split decision loss to Lyoto Machida in the UFC 157 co-main event earlier this year in Anaheim, California. “Hendo” spent most of the 15-minute bout trying to hunt down the elusive “Dragon,” but the Brazilian stuck-and-moved his way to victory, punching his title shot ticket for sometime later in 2013 in the process. Evans, meanwhile, dropped a lackluster decision to Antonio Rogerio Nogueira at UFC 156, allegedly “losing the desire and drive to compete,” according to UFC President White. “Suga” chalked up the puzzling performance to a “mental issue,” vowing to return stronger in his next appearance. Somebody gets one step closer to the 205-pound title while the other goes to the back of the division line, perhaps for good. Check out the current card for UFC 161, which takes place in Winnipeg, MB on June 15th. The UFC returns to Canada on June 15th, but they’re headed somewhere they’ve never held an event before – Winnipeg, Manitoba. 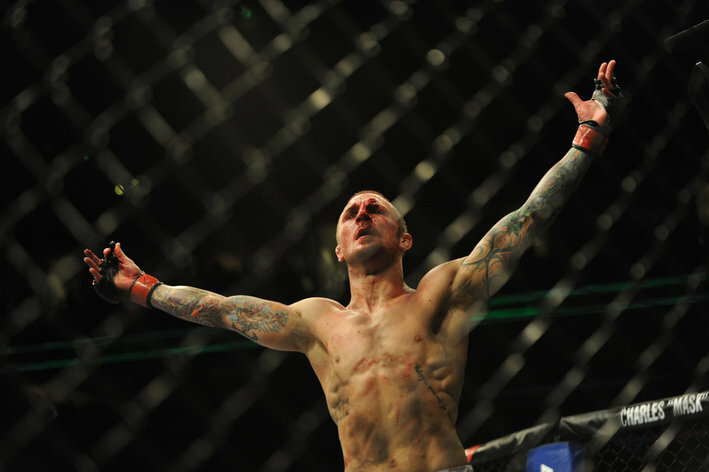 The MTS Centre will play host to a UFC interim bantamweight title fight as the main event, with Renan Barao looking to defend against the first WEC bantamweight champion, Eddie Wineland. The card will also feature two big light heavyweight bouts – Mauricio “Shogun” Rua and Antonio Rogerio Nogueira will compete in a rematch of their epic 2005 Pride bout, while former champ Rashad Evans will meet veteran Dan Henderson.